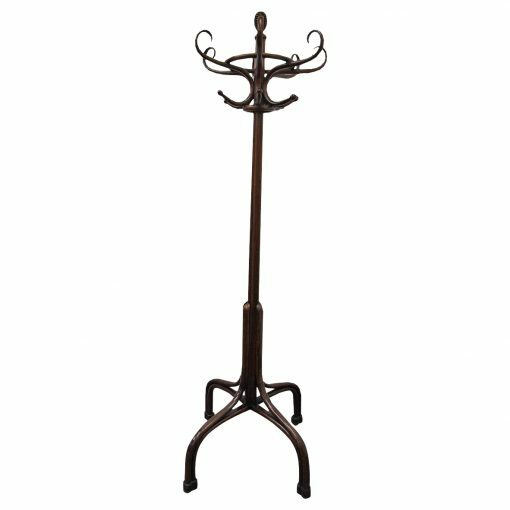 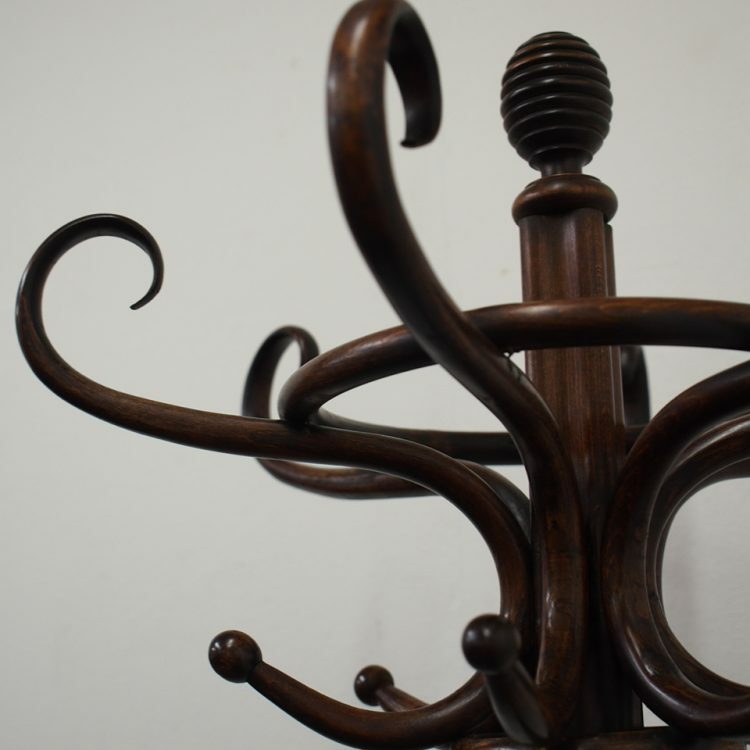 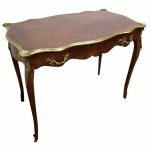 Circa 1900, stained beech bentwood hall stand, crowned with a beehive shaped finial. 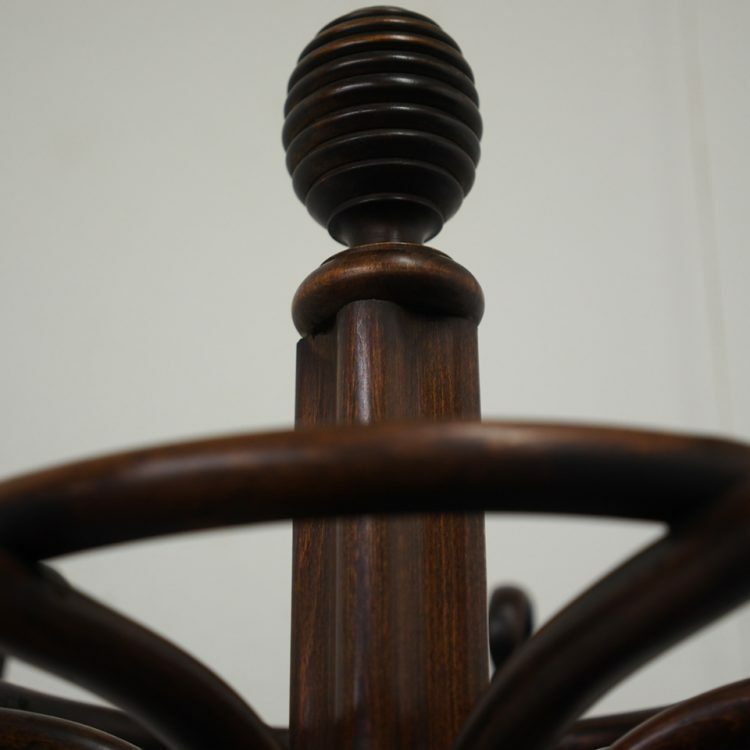 There is two concentric rings and from these the hooks and loops for holding coats and hats. 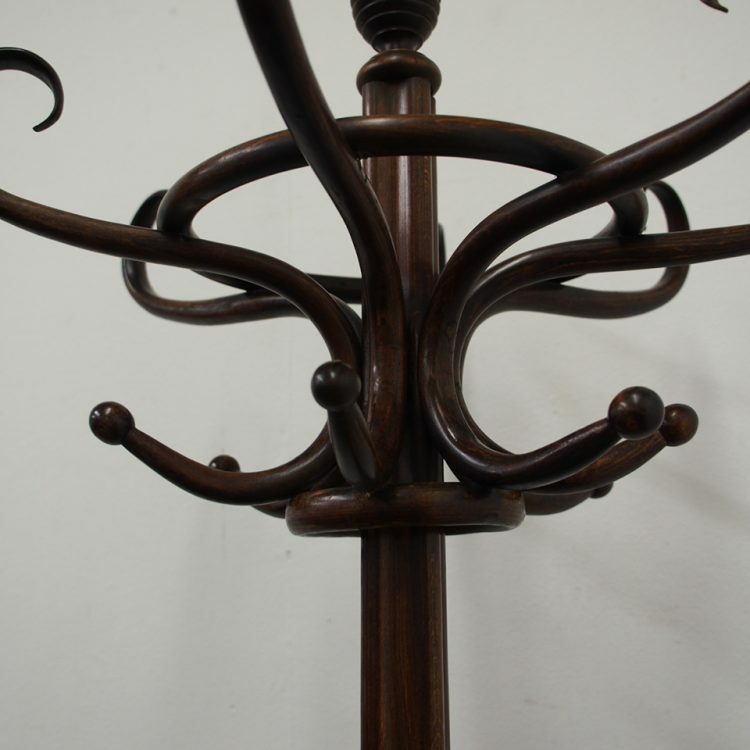 The stand has 7 curled pieces fixed to the rings, a centre column and 4 supports. 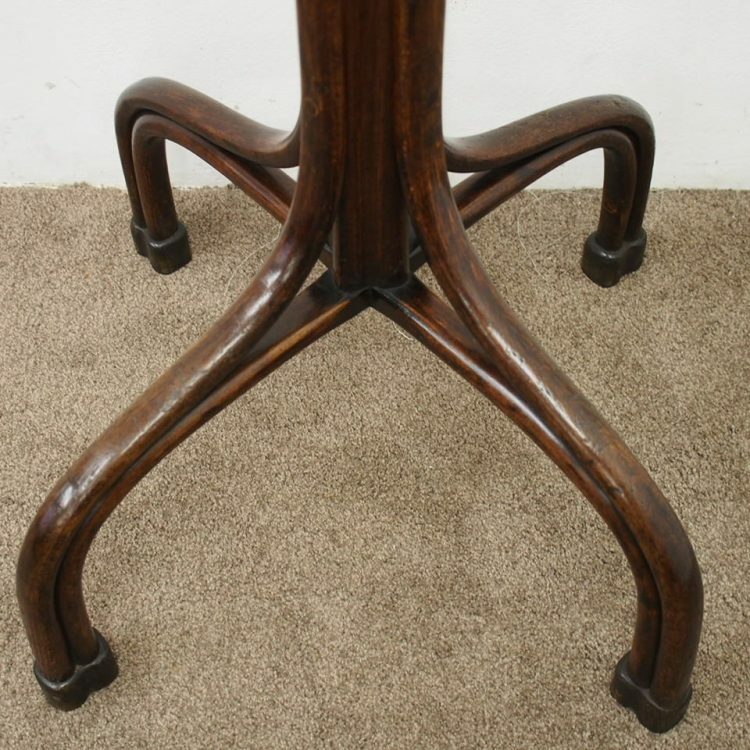 The supports curve towards the bottom, forming the legs with a cruciform stretcher beneath for stability. 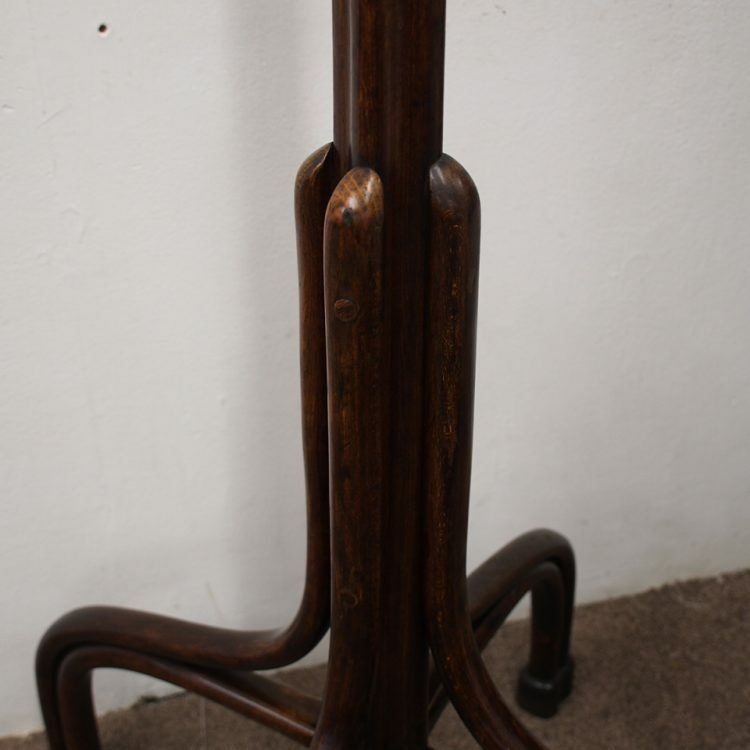 The piece stands on 4 shaped feet following the form of the double legs.